Opened in 2009, Sanctuary Residential Resort Community in Ho Tram provides an ideal location for you and your loved ones to enjoy a scenic vacation along Vietnam’s magical coastline. Just a 2 hour drive from Ho Chi Minh City, Sanctuary is a 5 star residential resort community that has been built on 10 hectares along the coast offering a variety of accommodation choices. 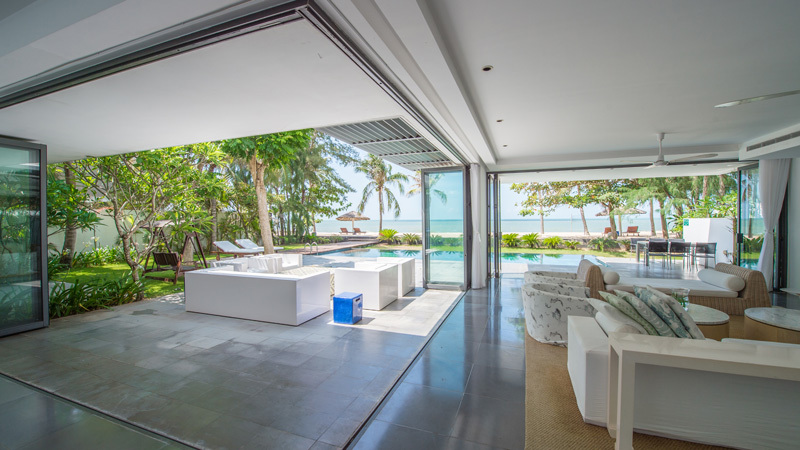 Guests are able to choose between 28 residences and 44 villas – all are accompanied with a private pool, three to four bedrooms, a fully equipped kitchen and Barbeque station. 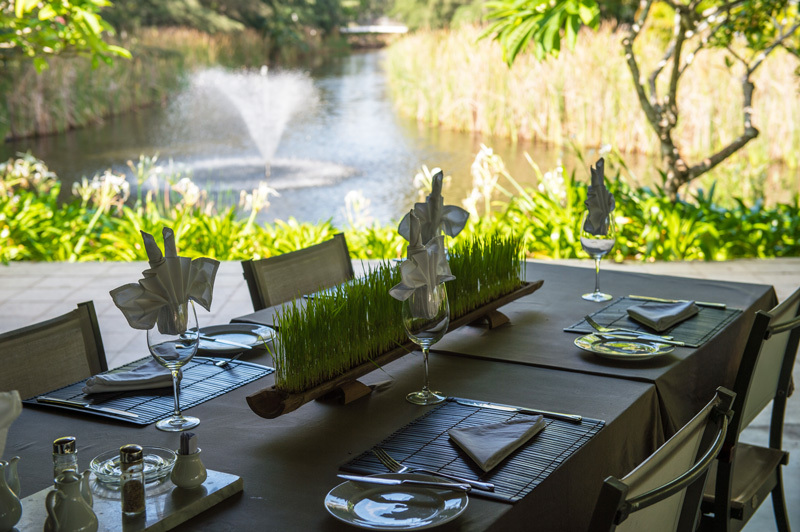 This, together with idealistic space, is what makes Sanctuary the perfect location for any event – family gatherings, wedding celebrations or business functions. All our villa's have their own private pool and garden, allowing you to have the privacy to enjoy a wonderful vacation with friends and family. Our accommodation varies in sizes and ranges from 430m2 to 1000m2 and can accommodate between 06 and 11 people depending on your preferences and group size. At Sanctuary we offer various options to enjoy meal times – having a fully equipped kitchen & barbeque means you are able to cook for yourself or we offer the culinary skills of our in house chef to come down to your villa and cook up a feast for your group. This is always a popular option and booking is essential. Sanctuary has its very own restaurant on the property – Sandals Restaurant. 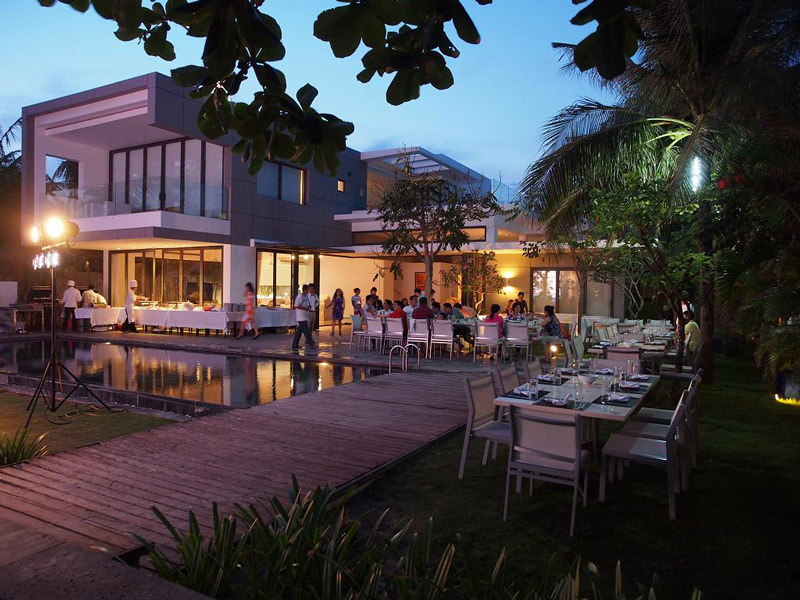 They offer an extensive a la carte menu as well as various buffet options. The restaurant is open daily from 7:00am to 10:00pm and serves breakfast, lunch and dinner. There is also a fully serviced bar that is open 7 days a week. Once you have enjoyed relaxing by the pool or on the beach, Sanctuary offers other activities for you to enjoy. 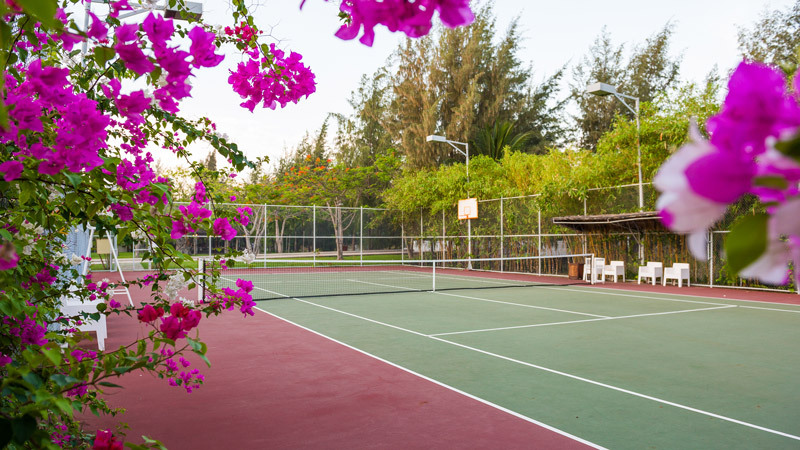 The resort features a tennis court, basketball court, playground and a volleyball court on the beach front. At Sanctuary we offer tailored event services and planning. From weddings and anniversaries to conferences and corporate breakaways, there is no event too big or occasion too small. - The internationally acclaimed golf course “The Bluffs” is 4km away. - Long Phuoc Tunnels is 30km away and provides a glimpse of the past history in the area. - Landscape Fairy Stream is 35km away and is a wonderful spot for a picnic or swim in the stream. - Minh Dam Base is about 30 minutes away and was a historic army base. - Thien Thai Temple & Dinh Co Temple is 25km away and is a major religious site for Buddhists and Non-Buddhists alike. For a truly special dinner, take advantage of Sanctuary’s in-villa personal chef. You can enjoy a seafood dinner made especially for you and your family!